Sometimes, I am a bit old-fashioned when it comes to travel. I will get a paper map of the location that I am visiting and pour over it for hours looking for places of interest – ruins, historic homes, cemeteries, prehistoric locations, castles, you get the drift. That was how I found Bryn Celli Ddu on the island of Anglesey in Wales. There was this little tiny picture (I had to pull out my readers to see it) of a rustic stone arch. 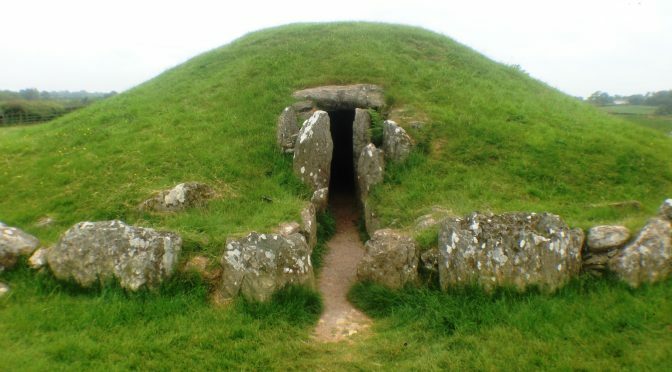 The name on the map was Bryn Celli Ddu Burial Chamber and the symbol listed it as a prehistoric site. Well, cool! “Let’s go!” I said. And, there started a whole other adventure. We were in Great Britain at the time. We were making our way from London up the eastern coast to Edinburg and the Borders of Scotland before heading back to London. Have you been to Wales? We had not. We thought it would be fun to drive to the end of A55 just to see what was there. Also, it would mark one more country off our list. 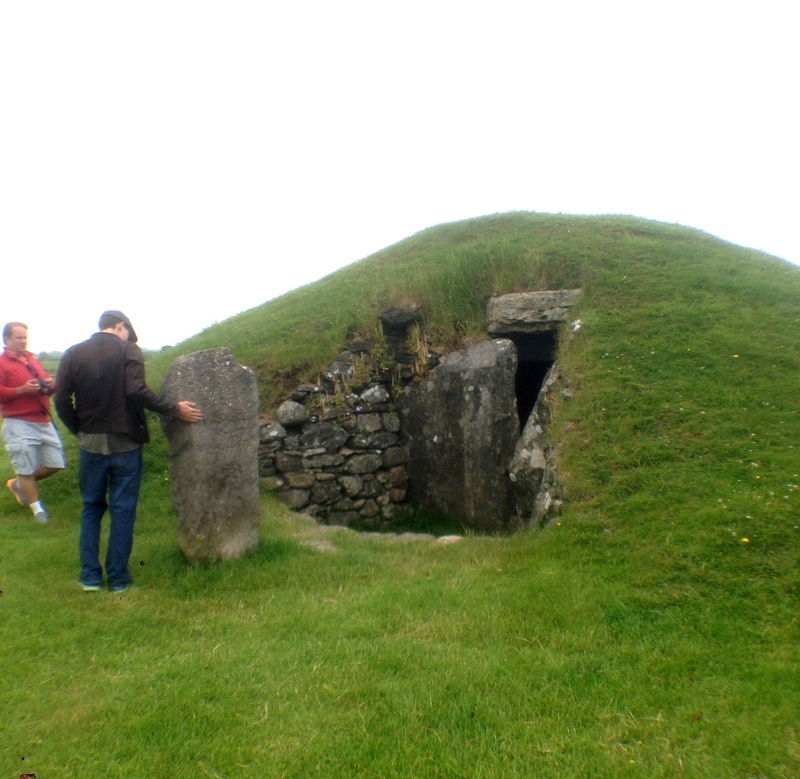 Much to our amazement, there are quite a few burial chambers on the island of Anglesey and in Wales as a whole. I would love to go back and explore more of them. It was quite interesting when we crossed the border into Wales. Immediately, all the signage became dual language with Celtic being the first. 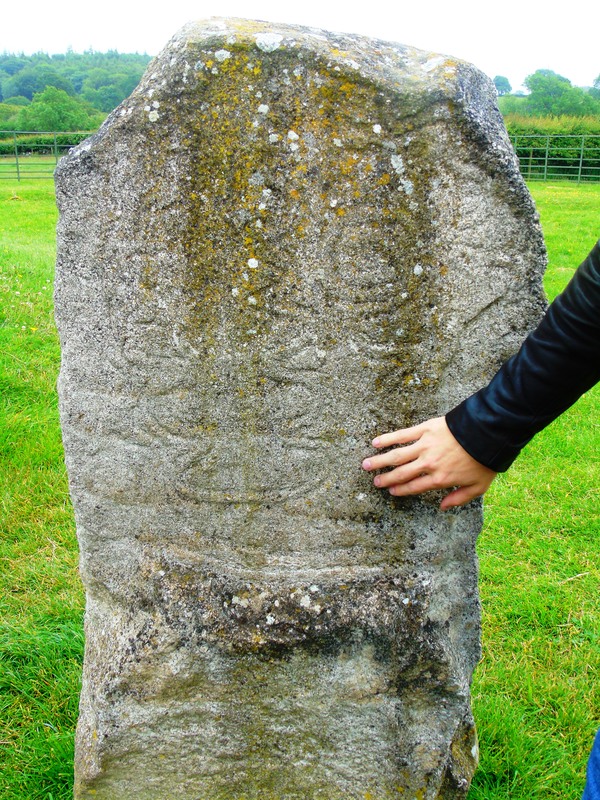 Did you know that the Celtic language has been spoken since the Bronze Age? I found it difficult to know when or how to pronounce the “y” and “w” and double ll. If you have an understanding of the language, I would love to hear from you. The prehistoric site of Bryn Celli Ddu, ‘the mound in the dark grove’, is located on the island of Anglesey near the town of Llanddaniel Fab (GPS coordinates 53.2077_N_-4.2361_E_) satellite view of location. The road to the site is a small 2-lane country road near A4080. With not much to go on, direction wise, we wondered more than once if we were going the right direction as we meandered past pastures with cows lazily munching on grass. We drove through the picturesque countryside, amazed (again) at the miles of fences made from farmers stacking stones collected from the fields. Not paying attention, we failed to notice the sign for Bryn Celli Ddu parking until we pasted it. We had to do a quick turn-around in the narrow 2-lane road with no shoulders. Thank goodness they have smaller cars! Excavated in the late 1920’s, Bryn Celli Ddu it is one of the best preserved burial chambers of the Neolithic era. It contains a complete passage, a burial chamber, and is buried under a mound of dirt called a cairn that has partially protected it. 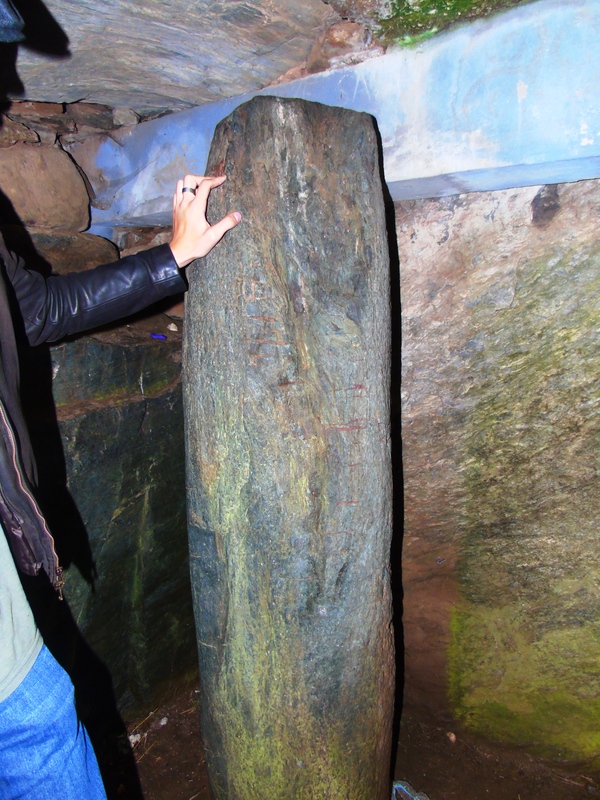 A stone ring encircles the burial chamber with a long passageway leading into the chamber, which has a serpentine carved pillar inside. 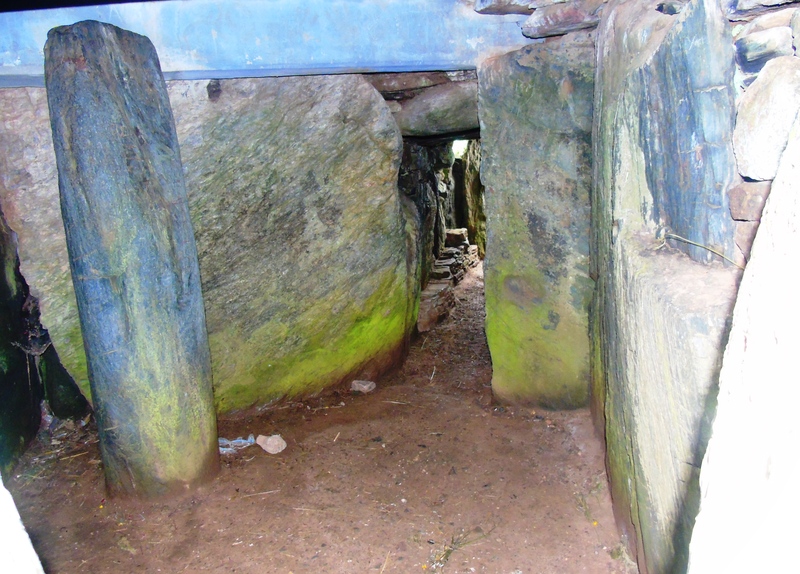 Because of these, many believe that this ancient prehistoric monument was used for solstice ceremonies, much like Stonehenge. 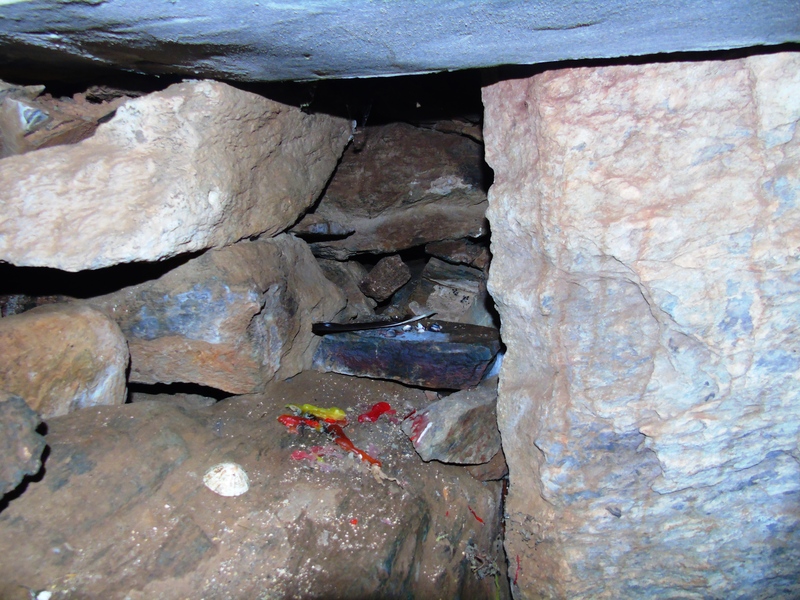 Scattered around an inner circle of 17 stones the remains of charred human bones were found. Some believe this suggests that at least some of those ceremonies, included a sacred ritual or sacrifice of some sort. Perhaps sacrifices were required to appease the gods and to bless the ground for a plentiful harvest. Perhaps it was just an easy way to bury the dead in that rocky soil and prevent the spread of disease. Many questions surround the mysterious stone circles located in Wales, England, and Scotland. Though much has been learned from and about these curiosities, many questions still remain. Who originally built them and why. What were they really used for? Or did they multiple uses? I do know one thing for sure. All these unanswered questions and speculations create fabulous stories and movie scripts.